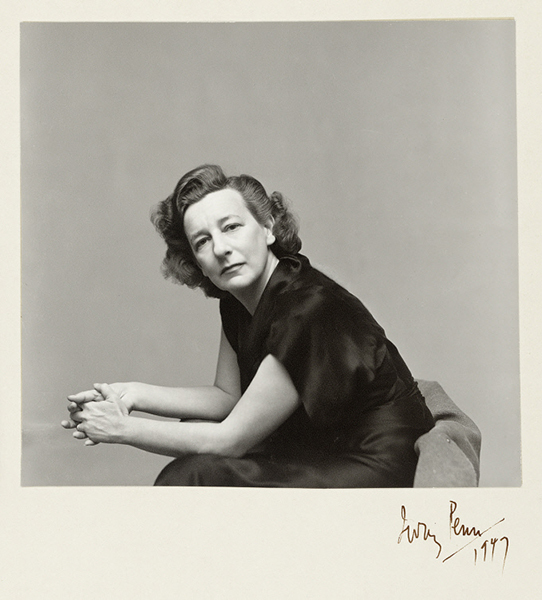 Lillian Hellman (1905-1984) was a playwright and screen writer whose work reflects her deeply held beliefs about fighting social injustice during the rise of fascism. She was blacklisted as a Communist sympathizer during the 1950s. Hellman based several of her works, including The Little Foxes, on her mother's family in Demopolis, Marengo County. Used by permission of the Lillian Hellman Estate. Photograph by Irving Penn.